New York City is the most iconic city in the United States. The silhouette of its skyline has represented the American way of life in films, books, and photography. The Big Apple, if you can make it there—you can make it anywhere. For anyone looking to visit this amazing city, there is something to do for everyone. 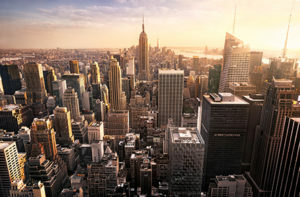 Museums, diverse and topnotch food, the Statue of Liberty welcoming those coming to America, and Broadway musicals to blow the mind are a small piece of what New York City has to offer. All five boroughs within the city have something to offer visitors. Thanks to New York City Vacation Packages, the supplier sponsor of this article, you can get more out of New York than the movies have shown you. New York City is home to approximately 8.2 million people, and comprised of five ‘boroughs’. Each borough is a separate county, with a diverse background and culture. These boroughs are Manhattan, Queens, Brooklyn, The Bronx, and Staten Island. It has been the center of many aspects of culture spread around the world. These include art, fashion, trade, food, and finance. The subway in NYC is a good way to get around while in the city. There are 472 active stations to get almost anywhere within all four of the boroughs (the exception being Staten Island). The system can be a bit perplexing at first, but you’ll adjust quick enough when you study the map for a few moments. After that, getting anywhere in NYC is easy. But, you also have the choice of bus, taxi, and the truly scenic route–walking. There is no shortage of activities in NYC. Between those activities, the amount of various foods available are astounding. From gourmet meals to street vendors, the city is rich with every type of food you can imagine. It’s also home to some of the best restaurants in the world. Whether you are craving home-style Italian, traditional ramen, chef-prepared fusion meals, or a slice of pizza—you can find it here. Manhattan is the borough with the most fame. It’s where you’ll see the skyline as you cruise in on your flight, to land in La Guardia or JFK airport. Manhattan is an island that sits between the Hudson and East Rivers. There are more museums than there are days in the week, so finding a view of art from various cultures won’t be difficult. The Metropolitan Museum of Art is in the top museums of art in the world. You also have other notable museums such as the Guggenheim Museum, the Jewish Museum, the Museum of Modern Art, and the American Museum of Natural History. With so many museums available, your options on vacation are vast. Of course, museums aren’t for everyone. 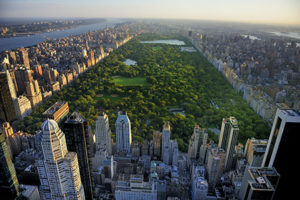 Central Park, which lies in the heart of Manhattan, has been a refuge from the hustle and bustle of the city since 1873. Being 2.5 miles long, and one-half mile wide, there is plenty of space to relax on well-manicured lawns. Want to see a castle in the middle of a major, metropolitan area? The Belvedere Castle awaits you in the middle of the park. There is also a zoo, ponds, a lake, and a couple of playgrounds for the young ones. You can get around this gorgeous park by foot, bicycle, horse and carriage, and pedicab. And last, but not least, you have the major monuments to modern America. The Empire State Building, a 1,454-foot skyscraper, is the star attraction of the NYC skyline. A high-speed elevator will take you to the 86th floor, where you can get a fantastic view of the city. 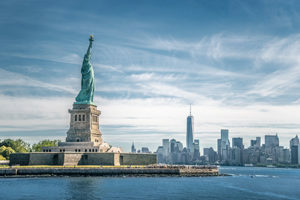 Liberty Island, which hosts the 305-foot-tall Statue of Liberty (officially known as the Liberty Enlightening the World), also has a museum to which tells all about the statue. Ellis Island, a short distance from Liberty Island, is where immigrants registered as they entered the United States, also has a museum to the immigrants who came to America. Both are accessible from a ferry which leaves from the main part of Manhattan, and allows a great view of the city. Regardless of the many reasons you’ll want to visit New York City, there are activities for every interest. This makes NYC the perfect vacation for yourself, and those you travel with. You’ll get along great in the Big Apple. Begin your July Fourth celebration at a BBQ Picnic high above Broadway, followed by a motor-coach sightseeing tour of historic New York City, ending at Pier 81 where you will board World Yacht, a premium NYC Dinner Cruise, to view the Macy’s Fireworks Spectacular from the water. We make your New York City BROADWAY THEATER WEEKEND VACATION easy and relaxing! All you need to bring to New York are your Lullabies of Broadway. Take the family to New York City for fun, excitement, discoveries!